Does your sophisticated, discerning taste result in you unapologetically preferring to indulge in the finer things in life while on vacation? Or, are you someone who is simply looking to treat yourself to an extravagant getaway? Either way, when it comes to travel, do you seek exclusive services, personalized attention, lavish amenities, impeccable décor, luscious cuisine and extravagant shopping? If so, it is likely that your passion for all things luxurious has—on more than one occasion—prompted you to consider a trip to a major metropolitan area like New York City, Chicago, Miami or Los Angeles. Unless you have already been to Walt Disney World Resort in Orlando, Florida, it is unlikely that you would readily consider it a premier luxury destination with a great deal to offer guests who appreciate upscale vacationing. 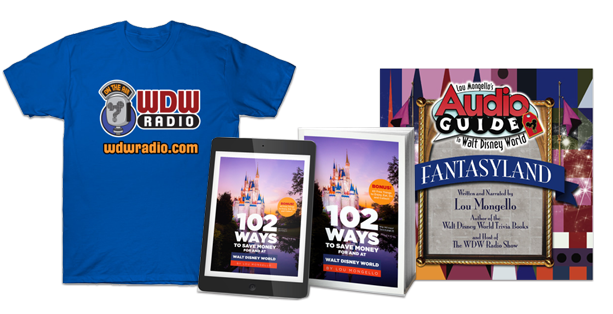 Skeptics may assume that WDW will not satisfy their desire to take in refined culture, atmosphere, dining, and shopping. First-time guests—and even some return visitors—are often surprised to learn that Walt Disney World Resort has received top honors from AAA, Zagat, and Fodor’s Travel Guide among others. If you dream of indulging in a luxury vacation, look no further than Walt Disney World Resort where V.I.P. treatment awaits those who enjoy the finer things in life. There are several shopping opportunities throughout the WDW property. From boutiques and sophisticated shops offering exceptional brands to galleries in which to browse and or purchase fine art, guests have the chance to treat themselves to unlimited indulgence. Since 1828, Guerlain has been creating perfumes, soaps and cosmetics including some made exclusively for notable individuals like Napoleon III and Queen Victoria. Today, Guerlain, Inc. creations are available to the public in a limited number of locations throughout the world. The exquisite La Signature is one such shop. Situated in Epcot’s France Pavilion, it is fashioned after the original La Maison Guerlain, which is the flagship location on the Avenue des Champs-Elysees in Paris. Basin White, the luxury bath and body care line, has only four retail locations in the country. One of these is found at the Grand Floridian Resort and Spa. Basin White is known for its all natural product lines, especially their sea salt scrubs. Designer clothier Summer Lace can also be found at the Grand Floridian Resort and Spa. This boutique carries clothing and accessories from brands such as Polo®, Christine Alexander®, Dooney & Bourke®, and Burberry®. Located at the Grand Floridian Resort and Spa, Commander Porter’s offers men’s resort wear brands such as Ralph Lauren® and Tommy Bahama®. Crystal Arts is located on Main Street USA in the Magic Kingdom. This shop features handcrafted items from Arribas Brothers. There, patrons can browse glass and crystal bowls, plates, vases, jewelry, sculptures, etcetera. Now in its fourth generation of glass cutters, Arribas Brothers currently brings together artisans from eight different countries from around the globe. The Galleria Sottil located at the Walt Disney World Dolphin Hotel features artwork by world-renowned artist Luis Sottil among other well-known artists. Sottil has created his own painting style known as Naturalismo, which conveys the human emotions represented in nature, and is now studied in universities across the country. Wyland Galleries has two locations on the WDW property—one at the Boardwalk Inn and another at the Polynesian Resort. The galleries are owned by world-renowned marine life artist, Wyland, and feature his works alongside many other notable artists such as James Coleman, Frogman, Michael Godard, Jim Warren and Dan Mackin. Each year AAA rates over 30,000 hotels and resorts throughout North America. Only 4.8% of those hotels receive the Four Diamond Rating. As of January 2013, nine of Walt Disney World’s resort hotels have received this prestigious status: Animal Kingdom Lodge and Villas, Beach Club Resort, Boardwalk Inn, Contemporary Resort, Grand Floridian Resort and Spa, Polynesian Resort, Yacht Club Resort, Walt Disney World Dolphin, and Walt Disney World Swan. The Grand Floridian Resort and Spa also has the distinction of being one of Fodor’s 2012 Top 100 Hotels in the World. In order to receive these awards, each of the aforementioned resorts had to maintain a luxurious and upscale atmosphere, an extremely high level of service, and a wide range of amenities. While guests will be afforded such benefits no matter what level of room they choose to book, the exclusive perks that come with making a Club Level reservation at a Deluxe Resort are unmatched. This elite-level room comes with concierge service, evening turn-down service, health club access, pre-arrival itinerary planning, and access to the club-level lounge where unlimited complimentary breakfast items, snacks, appetizers, drinks, and desserts are offered daily from [7:00] AM to [10:00] PM. While timeless, classic Victorian elegance appeals to the senses and sensibilities of its patrons, there is something or, more to the point, someone that is equally as responsible for the award winning success of Victoria and Albert’s. Executive Chef Scott Hunnel has been with the restaurant since 1995. He is a three-time James Beard nominee for “Best Chef in the South”. Hunnel’s ability to artfully create culinary masterpieces as well as his expert use of unique and rare ingredients such as white truffles, caviar, oxtail, lamb, quail, and many others, are likely responsible for his having qualified for this most prestigious award multiple times as well as why the establishment continues its award winning tradition. Mandara Spa—at Walt Disney World Swan and Dolphin—has seventy locations in eighteen countries and has been a three-time recipient of the Spa Asia Crystal Award. It is decorated in Balinese style and contains two interior gardens in which guests can rest and restore prior to their spa treatments. Spa options include: Swedish massage, hot stone massage, deep tissue massage, reflexology, pedicure, manicure, various types of facials, seaweed wrap, cellulite reduction treatment, and many others. The Walt Disney World Resort, Grand-1 yacht is a 52-foot vessel available—by reservation only –for a luxury cruise for party of eighteen, or fewer, passengers. It is quite possibly the most extravagant activity on property. With its Captain and deckhand on board, the yacht embarks at the Grand Floridian Resort and Spa and sails around Bay Lake and Seven Seas Lagoon. If the passengers have chosen to dine while on board, a butler will serve them from the Private Dining menu. For the ultimate experience, reservations can be made to coincide with Wishes, the Magic Kingdom’s nightly fireworks spectacular. If one’s party includes a young girl, then consider treating her to the once-in-a-lifetime experience of enjoying the My Disney Girl’s Perfectly Princess Tea Party. This event takes place at the Garden View Tea Room at the Grand Floridian Resort. Each adult will dine on classic tea sandwiches, shrimp tart, various cheeses, lavosh (Middle Eastern soft bread), and grapes while young girls will receive peanut butter and jelly finger sandwiches. Each reservation also includes Tea for Two and Princess Cake for Two. During the regal event, Princess Aurora drops in to visit her guests, and stories and songs are presented by Miss Rose Petal. Each girl in attendance receives a tiara, bracelet, fresh rose, and an 18-inch My Disney Girl doll. Openings are extremely limited; therefore, reservations are essential. 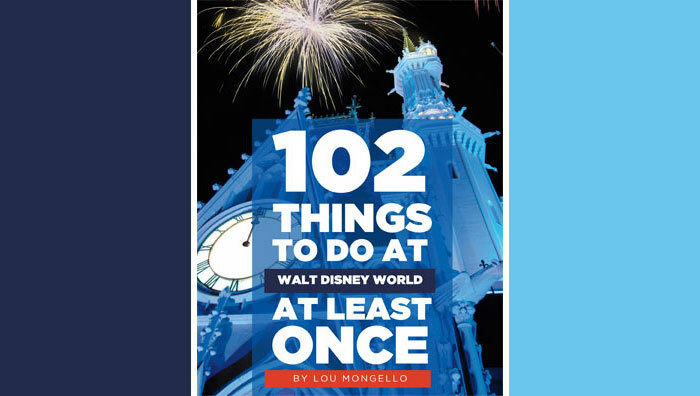 To the skeptics who assume Walt Disney World Resort is a fast-paced experience in quick eats, souvenir shopping, and child-friendly attractions, the information here is but a sampling of what is offered to those hoping to satisfy their passion for luxury. When it comes to premiere travel destinations, Walt Disney World will not disappoint those who are seeking exclusive services, personal attention, lavish amenities, impeccable décor, luscious cuisine, and extravagant shopping. Disney’s modern yet timeless attention to detail offers sophistication to the traveler who seeks the finer things in life. If you have never been to Walt Disney World, what offerings mentioned above sound attractive to you? For those of you who have visited WDW, have you ever treated yourself to a luxury experience? Please leave your comments and or questions in the section below. This goes towards those people who question why people visit more than once a year. Disney really needs to do better at listing all they have to offer. The list is mind boggling. I’m always trying to convince people that there is more to Disney than stuff just for kids…and am told that the reason I see differently is because I’ve grown up at WDW. I guess it’s somewhat true, since I have seen these amazing opportunities first hand (although since I’m still quite young…I have a lot left to experience), but this list goes to show that there really is something for everyone at the resort, no matter what age. Thanks Dusten! I agree completely about visiting multiple times per year. You could spend weeks at WDW and never repeat an activity. Each time I sit down to write a post, I have to decide which items on the long list I am going to include. I feel like I could write a book each month! Kendall, once again, you’ve done a great job of providing persuasive information for skeptic(s), reinforcement for aficionados,and credible insights for everyone in between. My positive experience with and appreciation of WDW began several years ago; so, needless-to-say, I am biased and easily influenced by info offered by people like you, who provide intriguing, verifiable, often little-known revelations and suggestions. Thanks. Here’s a nice little service I really felt spoiled by – Several years ago, we stayed at the Grand Floridian. How nice is that resort? Loved it! Anyway, I was relaxing at the main pool when a very polite and professional waiter came to take my beverage order. Such a small thing, I know; but I really appreciated not having to walk into the resort soaking wet and sun-blocked. I have stayed at the other deluxe resorts (some several times) and none offered this simple service. I don’t know if they still do at the Grand Floridian… if not, they should… the other deluxe resorts really should start. Sometimes less really is more. What from this category of “finer things in life” would you recommend at Disney’s Hollywood Studios? Lizzie: Thank you for your comments, and if you haven’t already, please check out my other posts! Anne: While I have visited the Grand Floridian on almost every trip to WDW, I have not stayed there since I was a child. Being such, I am unable to first-hand verify whether or not they still have the poolside drink service; however, I found one review online that did reference the topic and said it is no longer available. If this is true, I find that fact disappointing. I agree with you that it is the little things that really make you feel pampered and special. May: My number one suggestion for DHS would The Brown Derby. While it may not be as posh as Victoria and Albert’s, it makes you feel as if you are an “Old Hollywood VIP”. The menu offerings are outstanding! I suggest the creme brulee for dessert. It is truly one of the finest I have ever tasted.